We still have around a year to wait for the movie adaptation of Divergent by Veronica Roth. Yes, a year long of agonizing wait, frustration and uncontrollable excitement. This Neil Burger-directed adaptation is just one among many adaptations that loyal fans of the books, as well as new comers, are eagerly awaiting. Favorites such as The Maze Runner, The Fault in Our Stars and many other YA novels ar coming to the widescreen as well. 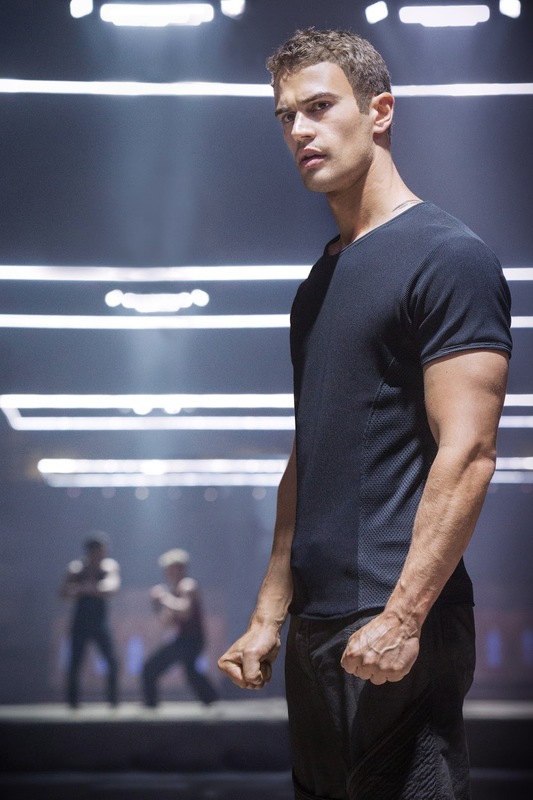 For now another reason Divergent fans will be excited for is this official still of Theo James as Four, who's christened as Tobias Eaton. Divergent, which is based on the screenplay by Evan Daugherty, also stars Shailene Woodley as Beatrice 'Tris' Prior, Ansel Elgort as Caleb, Ray Stevenson as Marcus Eaton, Kate Winslet as Jeanine Matthews, Zoë Kravitz as Christina, Ben Lloyd-Hughes as Will, Maggie Q as Tori, Jai Courtney as Eric, Ben Lamb as Edward, Christian Madsen as Al, Tony Goldwyn as Andrew Prior, Ashley Judd as Natalie Prior, Mekhi Phifer as Max, Amy Newbold as Molly and Miles Teller as Peter, among many others. This adaptation is brought to you by Red Wagon Entertainment and Summit Entertainment (Lionsgate will be distributing), same that brought you The Twilight Saga on screen. Divergent will hit theaters on March 21, 2014.